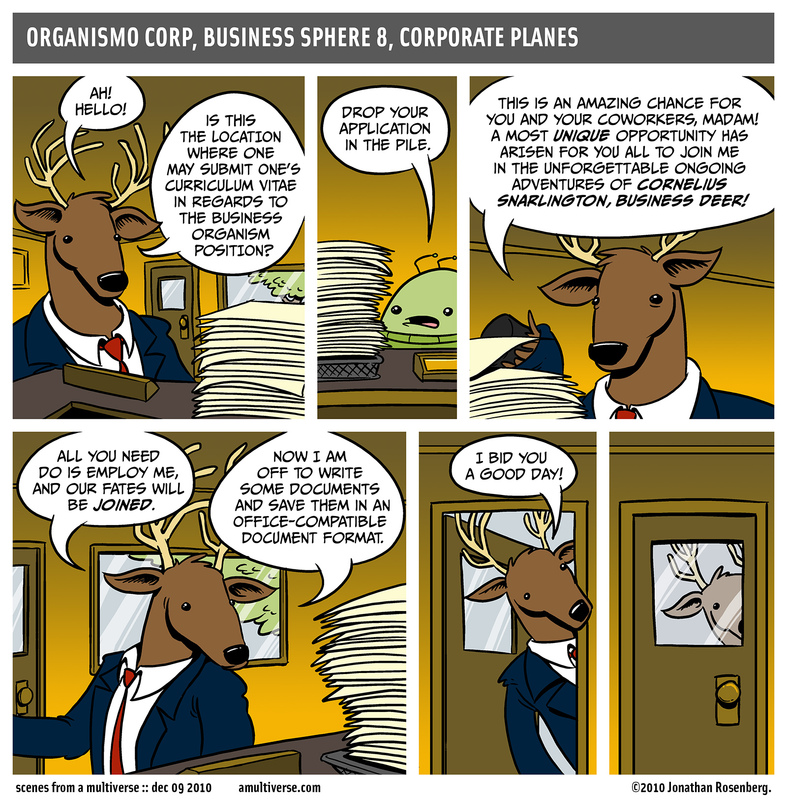 In this economy, can you afford NOT to hire Cornelius Snarlington, Business Deer? No, you cannot afford it. You will lose all your money. You know what else will save you money by spending it on things? SFAM prints! Just click the “Buy A Print Of This Strip” button at the bottom of any comic strip to purchase a print of that strip, for a Christmas gift or for your own selfish purposes.